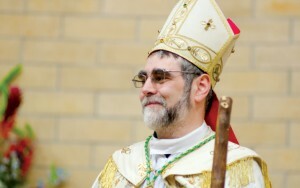 Madam Chair, Ranking Member, members of the committee: My name is Francis Kalabat and I serve as Bishop of the Chaldean Diocese of St. Thomas in North America, which includes 12 churches in Michigan and Illinois representing more than 175,000 Chaldean Catholics in communion with Rome and His Holiness Pope Francis. Thank you for allowing me to testify before you today. As I speak, the process of the eradication of Christians in Iraq and throughout the Middle East continues. Ten years ago, in Iraq alone, there were over 350 Churches; today there are fewer than forty. Many have been bombed or destroyed; others, especially in the historically Christian villages of northern Iraq, are being used as Islamic State facilities. I am here today to give testimony to the suffering of our people in Iraq and throughout the diaspora in Jordan, Lebanon, Syria and Turkey, and to seek further assistance from this body, Congress as a whole and the executive branch. The United States has a unique role and obligation in this conflict. Not only because we are the standard bearer and protector of international human rights, but also because the plight of Christians in Iraq today is a direct result of the U.S.-led invasion of Iraq in 2003. That effort, the poorly planned and executed goal of regime change and the more recent withdrawal of U.S. troops, left in its wake a weakened and decentralized national government, sectarian warfare and the practice of government by tribes or in some cases government by gang. The lack of national unity and a tepid Iraqi military has left a dangerous void—a void filled, hopefully only temporarily, by Islamic State—a group that is the anathema to the West, to Judeo-Christian values and to civilized international norms. This has meant devastating consequences to the people of Iraq, especially Christians who are being systematically uprooted from their homes in the historical birthplace of Christianity. A couple hundred thousand Christian Iraqis have fled their homes since the militant Islamic State group swept through much of the north in June. Islamic State has been turning churches into prisons in the Iraq city of Mosul, which used to be the site of a large Christian community before it was driven out by this terrorist group. As an example, Fides News Agency reported last Tuesday that a number of detainees were recently sent to the ancient Chaldean church of the Immaculate Conception in the eastern part of the city. Sources have shared that the historically important St. George Monastery in the north has also been turned into a place for female detention, raising fears that women might be abused. Our Churches have been destroyed and many of our ancient manuscripts dating back to the tenth century have been destroyed in an effort to wipe out our identity. Mosul has been emptied of Christians who, under the implementation of Sharia law, have been forced to convert to Islam, pay a tax, leave their homes or die for their faith. Many have been killed in the name of religion. Allow me to quote from a letter from Sr. Maria Hanna, Prioress of the Dominican Sisters of St. Catherine of Siena in Iraq. “After four months of exile there are no signs of hope that the situation here in Iraq will be resolved peacefully. Unable to think or make decisions, everything is vague and we feel as if we have been living a nightmare. Christianity in Iraq is bleeding; so many families have left, and many are leaving to Lebanon, Jordan, and Turkey, preparing themselves for second immigration and an uncertain future. We know not how long these families will be able to tolerate the burden and survive financially. “The conditions remain the same for those of us in Iraq. Many still are forced to stay in unfinished buildings on construction sites. In one place, a mall has been remodeled to accommodate families, with the hall divided merely with partitions. Although they are better than tents, they resemble dark, damp cages with no ventilation. Most difficult of all is the lack of privacy. “There have been some attempts to provide containers and rent houses and flats, but this is not enough as the number of displaced people increases each day. Many come from cold mountainous places. Psychologically, people are tired, worried, confused, and irritated – who would blame them? They are jobless, their children do not attend school, and young people are still waiting to start their academic year at the university – some tried to register at Kurdish universities, but they were not accepted. All this is causing tremendous strain on the families, and the result is abuse and relationships that are unhealthy. The problems are totally overwhelming, and it seems as if our efforts are amounting to nothing. 1) Our Diocese here has raised more than $1.5 million to aid the internally displaced Christians and other minorities now living in Kurdistan. Banking laws and regulations and other stipulations should not inhibit this money from reaching the people who need it. 2) The Kurdish government should be provided resources by the U.S. specifically to aid people displaced by this current conflagration. The Kurdish Regional Government lacks resources to aid our growing refugee community and the arms to combat these terrorists. 3) Pressure should be placed on the central government in Baghdad to take a more active stance on the growing problem of Iraqi refugees. The central government has done virtually nothing to support our community and is primarily concerned with the preservation of sectarian political power. Christians are being used as pawns because we have lived in what is known as disputed areas in Iraq. passage to return to their villages and homes. under the supervision of either the U.S. or United Nations, if other governments will participate. The air strikes alone are accomplishing very little and costing taxpayers a bundle. 7) Syria must not follow the same path as Iraq. The United States’ involvement in Syria is just as vague as that in Iraq and is leading to the same brutality. This only leads us to ask: Who’s next in the Middle East? Senators, I submit to you that the U.S. must finish what it started; Islamic State must be defeated quickly and permanently. They are a menace to the Iraqi and Syrian people and will be a permanent threat to the West if they are not dismantled. The situation that the ancient Christian people of Iraq find themselves in today is the direct result of 20 years of failed U.S. policy in Iraq. An additional 2.2 million Christians in Syria are facing the same fate. Our response and future actions as a government cannot be borne just from a sense of humanitarian responsibility but rather the moral obligation that accompanies the direct role that the U.S has played in the destabilization of Iraq and the region. The title of this blog post is a very broad and provocative question. But what do I mean by it? 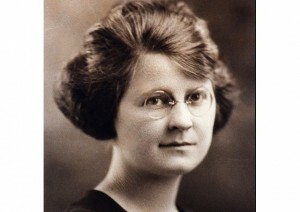 Well, when we think of the universal Church, her catholicity in the widest sense possible, you will experience division, feel a lack of cohesion and yet we profess faith in one Lord and Savior Jesus Christ, even share in fact that we have a valid priesthood and the sacraments (mysteries, as Eastern Christianity calls them) but truly unity lacks –and I am only indicating a local context for the Catholic and Orthodox churches. 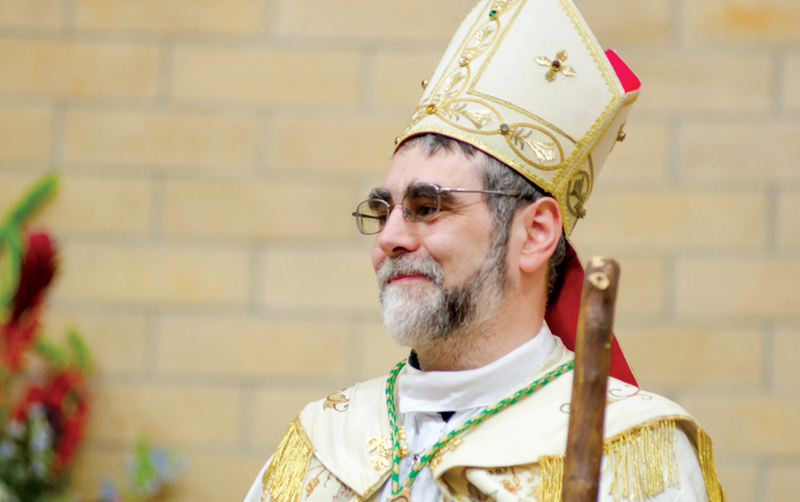 Andrew Stephen Damick, an Orthodox priest, wrote a superb article for First Things online, titled, “Are you Greek?“ He writes as having not been raised as cradle Orthodox person but as a convert and as a priest struggling with the question of Christian unity from within his own ecclesial context. I highly recommend the article because he raises the identity question in a way that makes sense. We want a less confused, a more united Church where discipleship is not the object of human manipulation. Here is a photo essay for Persecuted Christians at Quinnipiac University that happened last evening (17 September 2014). A friend sung Psalm 129 in Gregorian notation as the candles were lit; other liturgical pieces were sung in Greek, Arabic, and Aramaic chants. 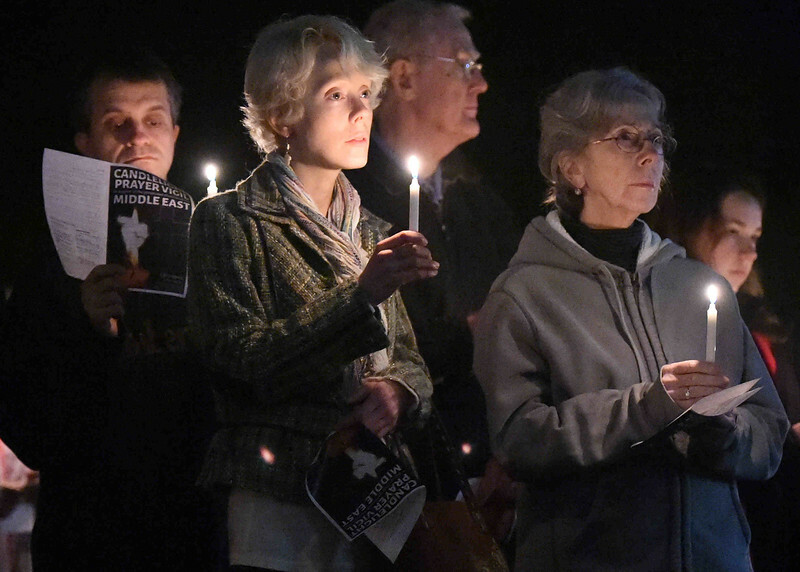 Likewise, the Gospel (“Blessed are the peacemakers…”) was sung and proclaimed in the various languages. Dominican Father Jordan Lenaghan, Catholic Chaplain, organized Christians in prayer from various Churches with the presence of the University Rabbi and other officials, for our brothers and sisters facing persecution in the Middle East. About 100 people attended. A large turn-out of students and concerned Christians attended. The annual Synod of Bishops of the Melkite Church just finished meeting. 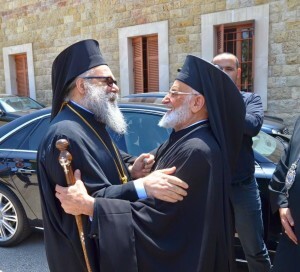 The Melkite bishops from around the world meet together each year for some time in prayer, discussions on theology, liturgy, canonical process and the election of bishops. 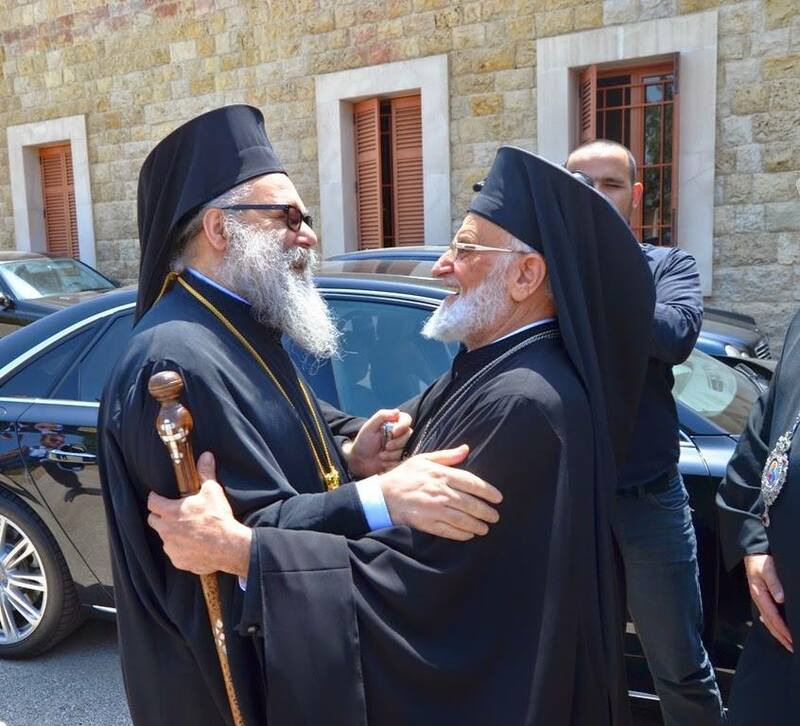 This year the Orthodox Patriarch of Antioch, John X, met with Melkite Patriarch Gregory III –a historic meeting. The Melkites in the USA are governed by Bishop Nicholas J. Samra (of the Eparchy of Newton) and the Antiochian Orthodox Church is awaiting a new head of church since their Metropolitan Philip Saliba died not long ago. The new metropolitan is expected to be announced late next week. Saint Peter and Paul, pray for us.